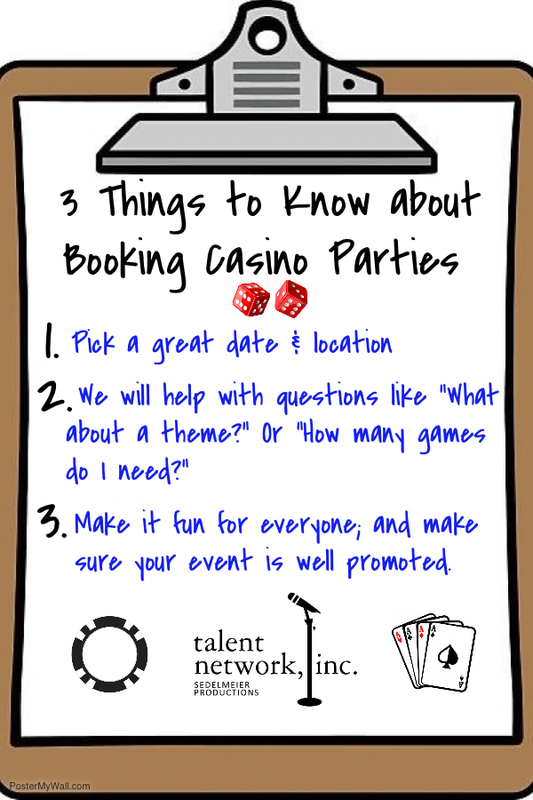 3 Things to Know When Booking Casino Parties - talent network, inc. If you are looking to book your next corporate, college, convention or private casino themed party, here at 3 Things To Know before you do! Here at talent network, inc., we want to take the stress of party-planning off of your plate. Call or email us to book your next event!